The early 2000s was a time when the body-swap trope was all the rage, and comic book characters have had a rich history of such stories themselves. One such example is the time when Jean Grey decided to punish Wolverine for his inappropriate advances by using her powers to make he and Peter Parker swap bodies. This was the event which led into the storyline of Ultimate Spider-Man #66-67, printed in 2004. While a punishment this may have been, Wolverine having to put up with the tedious nature of high school trivialities and the like, he soon discovered there were things he liked about living the life of 15-year-old Parker - such as his girlfriend Mary Jane Watson. So, making the most of being a teenager again, he did what any morally upstanding hero would do and attempted to sleep with her, leaving the real Peter Parker to apologise for his uncharacteristic behaviour when they were returned to their own bodies. 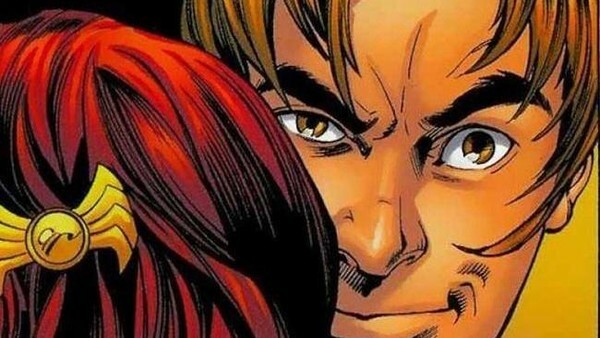 Fortunately for Parker, Mary Jane forgave his apparent lapses in character, stating at the end of the second issue of this story that she didn't want to try that thing "he'd" attempted until they were older. Lover of film and literature, and here to talk about it with you guys on the other side of that screen. Yes, you!